Does commercial solar make sense? 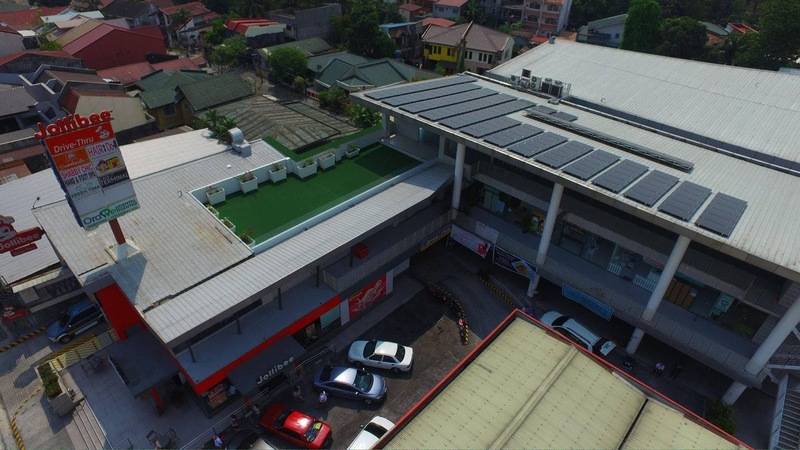 Some business owners and executives in the Philippines consider solar panels for businesses with hesitation because they have little grasp of the market, advantages, and effects that the solar panels will have on the business. Despite being aware that numerous Fortune 500 companies are adopting a solar mindset and utilizing renewable energy, thousands of global companies are still wary about green initiatives and environmental efficiency. In today’s eco-aware world, business professionals should start considering installing solar panels at some point in the near future – not only to become environmentally sound but because it is most certainly a strategic financial decision for the business. Commercial solar panels are feasible for businesses of all sizes: small to medium to Fortune 500. Solar is not just for Apple, Microsoft, or Netflix. Every business should capitalize on solar. Every business should take advantage of financial opportunities and invest in solar. A solar power system is a key strategic decision that offers a solid financial return for the business. There are three reasons why businesses should go solar: the business becomes a green company, the business incurs monthly savings, the business invests in a guaranteed ROI. The question is simple: does the business have a roof? Since more than 100 of the Fortune 500 enterprises have experienced significant results by using solar power, then it is time for all other businesses to follow suit and embrace solar. Most businesses conduct operations during daytime hours, which is the time which the sun’s rays shine bright and the business can maximize the benefits of the unlimited source of the power of the sun. 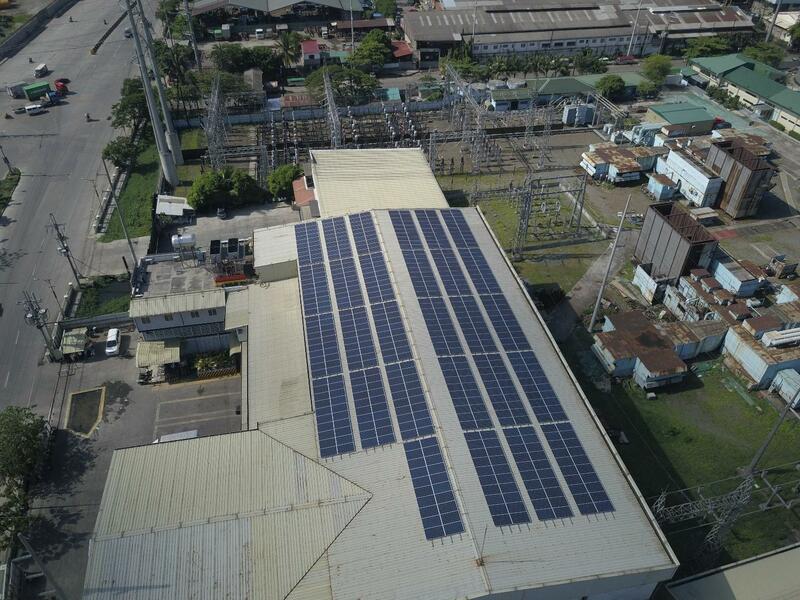 Any business can install solar: factories, warehouses, office buildings, cold storage facilities, restaurants, car dealerships, BPOs, schools, hospitals, city halls – any business that has a roof can benefit from solar power and save money each and every month. Once the business has a solar panel system installed, the business can register for Net Metering. Then it can sell its surplus solar energy during the hours in which they are not operational, such as Sundays and holidays. On regular business days, the business can use solar as their primary source of power. It’s 2019. Today’s typical solar panel system no longer needs batteries because solar can now be merged with utility power. The system is called a Grid Tie System. In this setup, the solar power is tapped and utilized first. When power from that source is exhausted, then the grid power is used. In instances when there is more solar power than grid power, on days such as Sundays and holidays when the business may not be operational, the power generated by the solar panel system is sold to the utility company for credits via the Net Metering program. Every 6 square meters of the roof with solar panels can produce 1400 to 1700 kWh of energy each year – or the energy content in a barrel of oil. For companies who want to be green and are focusing on sustainability, solar is the answer. How much can the business save from using solar? 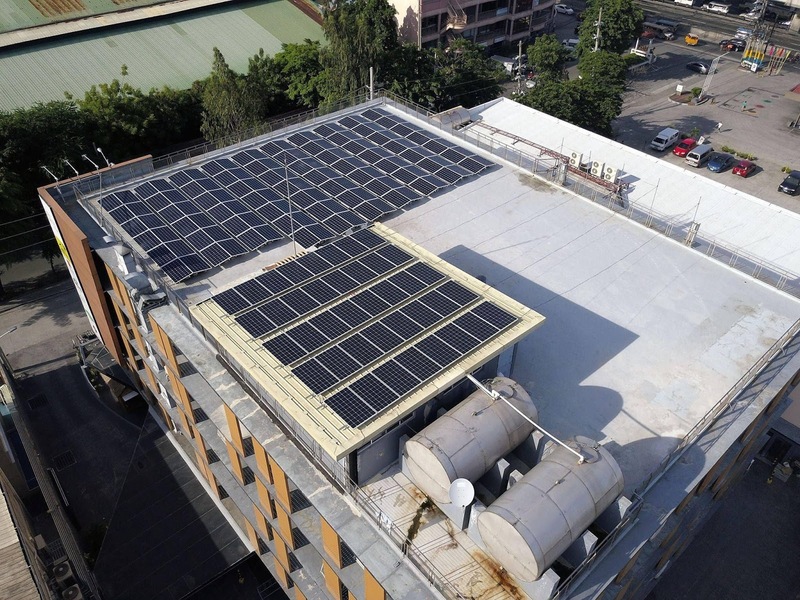 When a solar panel system is installed for a business, the bill reductions or the money savings range from 20% to 70%. It all depends on how much rooftop solar was installed and how large the electric bill was. Various factors are at play in determining the size of the solar system that your business requires. Additional information is necessary. Daytime electricity usage needs to be analyzed. The electric bill is reviewed. The hours of operation and power consumption are considered. Actual measurements need to be made by a team of engineers and installers. “It is definitely time to lead businesses towards sustainability. It’s about marketing the company as green and renewable – because there is great importance in that. On the other hand, the primary driver for the business is reduce their monthly utility expenses. What business doesn’t want that?” says Mike De Guzman, President of Solaric Corp. 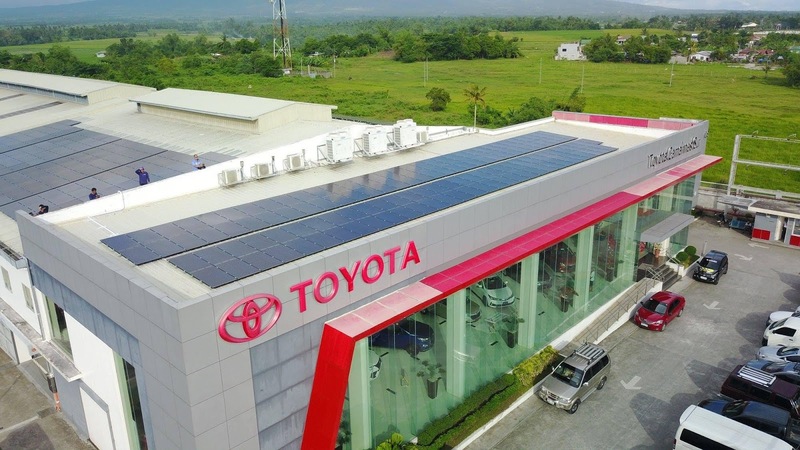 Installing solar panels for your business in the Philippines is a wise, significant, one-time investment that provides energy savings for 25 years. In essence, it means free power in the long term. Do you know any company that is interested in installing solar? Help them out by sharing this article with them! 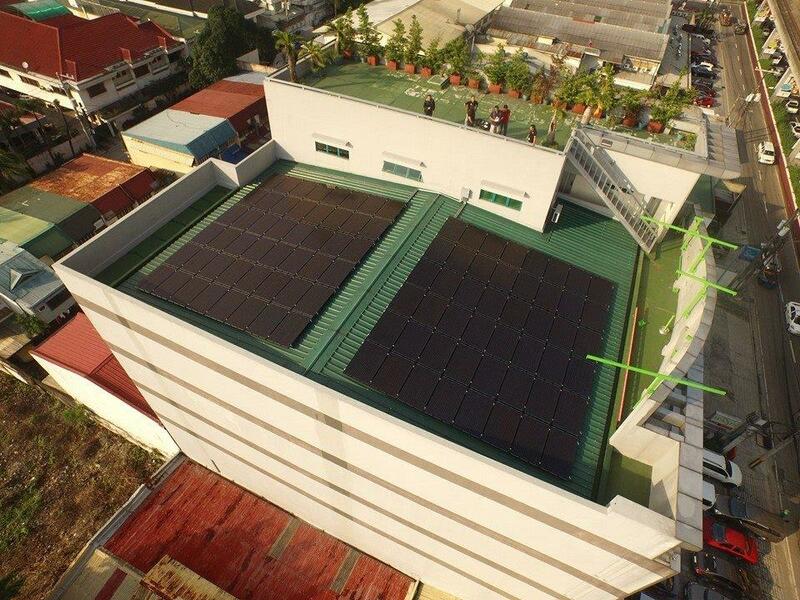 For more information, please visit www.solaric.com.ph or email us at info@solaric.com.ph call 5040092 or 09178603141.